Update: Jamie of La vie ... J'aime is the winner! I have a giveaway for you today from Plat du Jour. 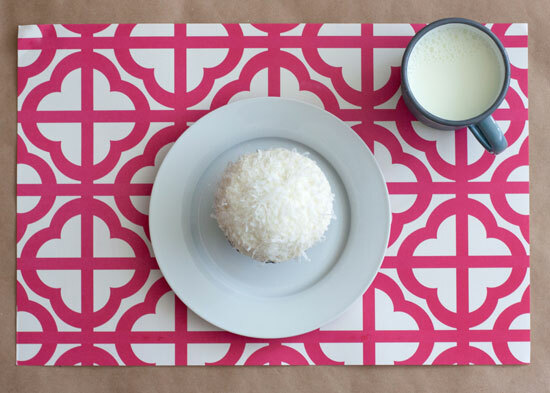 The company makes paper placemats that are so perfect for summer entertaining. They come in tear-away form, 50 sheets per pad, and feature vintage-inspired designs, simple silhouettes and playful patterns. 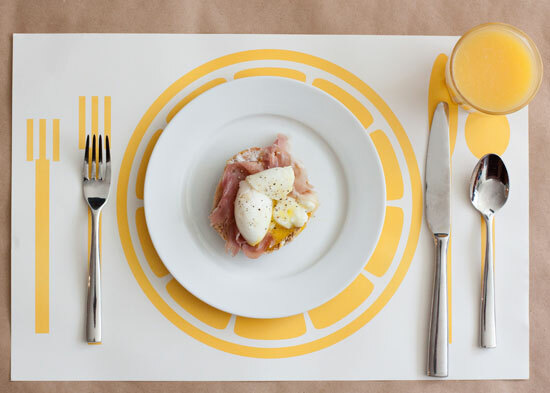 The placemats are made in the U.S. with recycled materials. 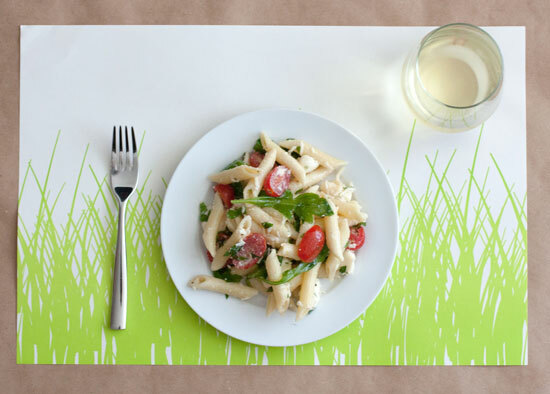 It's an easy way to add a little life to the dinner table. And one of you has the chance to win two different patterns! Just leave a comment below before noon on Friday, August 16. For additional entries, like Plat du Jour on Facebook and/or follow them on Twitter and let me know you did. One winner will be chosen at random. Good luck! This is such a great idea! And I love that they're made out of recycled materials. If I won, I'd chose the grass pattern - so cute! These are so cool. You have a great eye for finding out of the ordinary things. Just about to have a baby so throw-away anything is definitely what I'm after! these are so fun! a great housewarming gift. These are so lovely! I especially like the B/W Quatrefoil. These are wonderful! I'd love to win but plan to purchase even if I don't! How cute! I'd love to have some of these. Thanks for the giveaway offer - so nice! I love these! what a perfect thing to have on hand for summer bbq's and picnics! I liked plat du jour on facebook! I have seen similar cocktail napkins. What a great idea. I love the pink. What a great idea, easy for cleaning after the kiddos. Liked plat du jour on FB!